Rodeway Inn & Suites Fort Lauderdale cruise hotel discusses what you should and should not wear on the beach in sunny, tropical South Florida! Ok, so you’ve probably been to the beach before, so some of these may be obvious to you. However, if you haven’t been in a while, or just have not been to Fort Lauderdale beach, we’ve created this guide to inform you about what you may not want to wear at the beach or while on a cruise. Swim briefs, or Speedos as they are known colloquially, are the go-to beachwear for most of Europe and Asia. They don’t provide much coverage against the sun, and don’t leave a whole lot to the imagination. While wearing Speedos is perfectly acceptable across the pond, in the United States, boys and men generally only wear them if they are competing in a swim meet. For the beach, most men, young and old, prefer longer swim trunks, loose boxer-like shorts that go down about half-way to the knee or California-inspired board shorts that go down to or even past the knee. There are some men that can pull them off, but they are far and few between. In essence, you should know whether or not you can rock a speedo to the beach. In addition to Speedos being decidedly unfashionable, there is also another very good reason to switch to trunks or board shorts — the Florida sun. Men: unless you are a lifeguard or an underwear model, and wear Speedos for living, chances are, your upper thigh and hamstring area does not get a whole lot of sun. Prolonged exposure to the tropical sun can easily burn your unprotected skin, and sporting burnt thighs and hamstrings for the duration of your vacation will be quite uncomfortable. If you do not own a pair of swim trunks or board shorts, no worries — there are plenty of surf shops along Fort Lauderdale beach that sell all kinds of them, in all shapes, sizes and colors. If you burn easily, or if you haven’t been out in the sun in a while, you should not wear a tank top to the beach. Sure, tank tops seem to be the perfect beachwear, but leaving your shoulders exposed to the harsh tropical sun can leave you burnt to a crisp in the first day. This Fort Lauderdale hotel recommends the ideal piece of clothing for the beach – a light-colored, breathable long sleeve shirt that offers protection from the sun when your body has had enough, but does not get you overheated. Let’s talk footwear — heavy shoes, boots or sneakers at the beach are definitely a no-no. 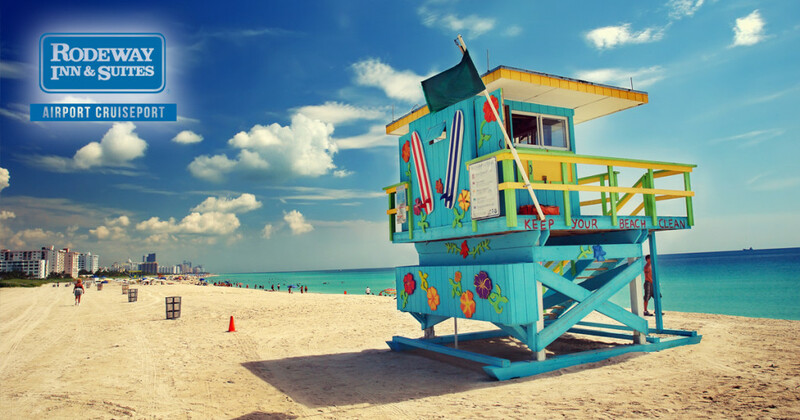 South Florida is the land of flip-flops, boat shoes and loafers, and for a good reason — most of the year, it’s just too hot to wear heavy shoes, especially when going to the beach. Wearing heavy shoes can also result in getting chafing and rashes if sand gets in your shoes — the sand is not able to escape the shoe, resulting in a sandpaper effect that is sure to leave your feet feeling very uncomfortable. To be comfortable while vacationing in Florida or going on a cruise, you will never go wrong with flip-flops — they are comfy, breathable and very inexpensive. If you do feel that you need to wear shoes to the beach for protection from the sun, grab a pair of boat shoes to look stylish while giving your foot plenty of breathability, or grab some water shoes that you do not have to take off and put back on. This should decrease the likelihood that you will get sand in your shoes and even if you do, you can always rinse them out. Now that you know what not to wear, you are ready for a Florida vacation! This Fort Lauderdale hotel is waiting for you! This entry was posted in Cruising, Uncategorized and tagged Beach, Beachwear, cruise, Fort Lauderdale. Bookmark the permalink.